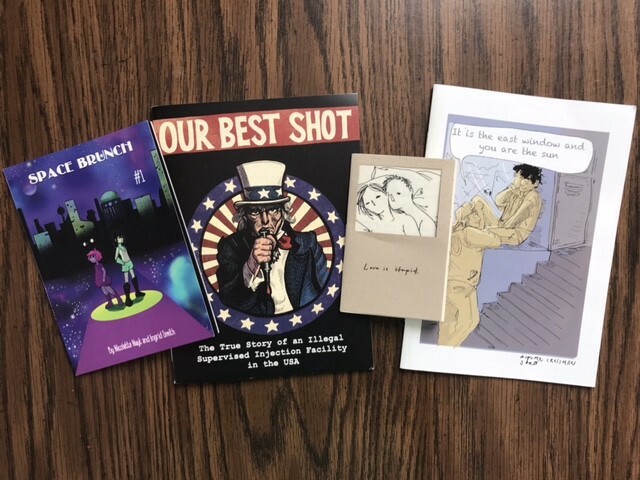 Comic zines, from left to right: Space Brunch #1, Our Best Shot, Love is Stupid, and It is the east window and you are the sun. Comics give artists and writers the opportunity to tell a story with both words and images, which can create a more nuanced experience for the audience. However, it can be a pricey endeavor. Many creators can’t afford the cost of printing a full book and readers can’t afford the higher price point. But zines make comics much more accessible. 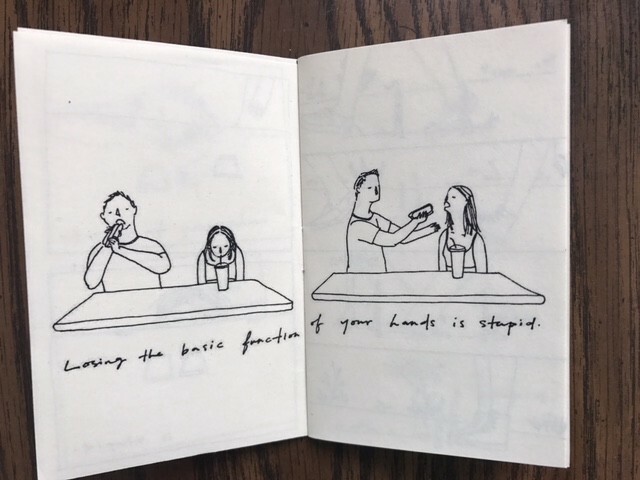 Jenny Cao’s small comic zine gives readers a glimpse into a couple’s relationship. 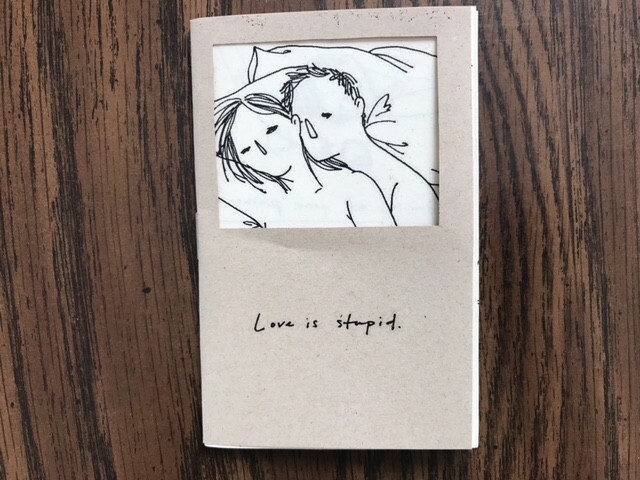 This adorable zine is a quick read, but it’s beautifully put together with lovely illustrations and a cute story that most people who’ve been in a romantic relationship will be able to relate to. Snap the zine up on Etsy. 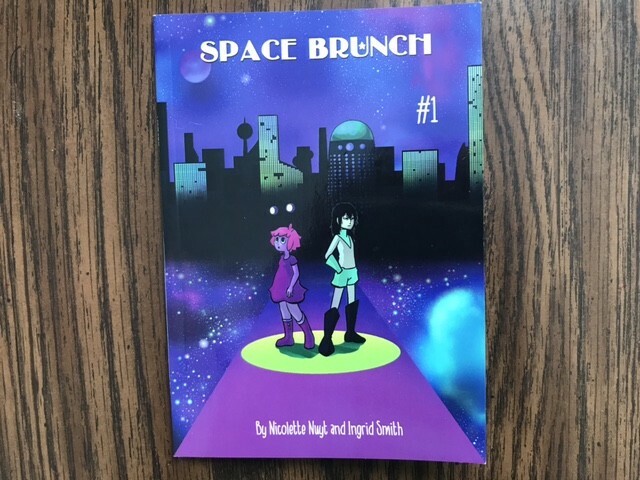 Nicolette Nuyt and Ingrid Smith teamed up for this futuristic story about an alien who moves to Earth to work for a company that oversees the use of a technology that fuses the DNA of two organisms together. While not a lot happens in the first chapter, it sets up the story and gives readers a good picture of the main characters (Rrarckleitel and Miss Murdoch). It’s a quick read that leaves you wanting a lot more and it would be great if it was paired with the next few chapters. It goes a lot slower if you take time to savor the beautiful artwork, the style of which perfectly matches the tone of the plot. The zine isn’t available for sale anywhere online, but you can find more of Nuyt’s artwork on her website. 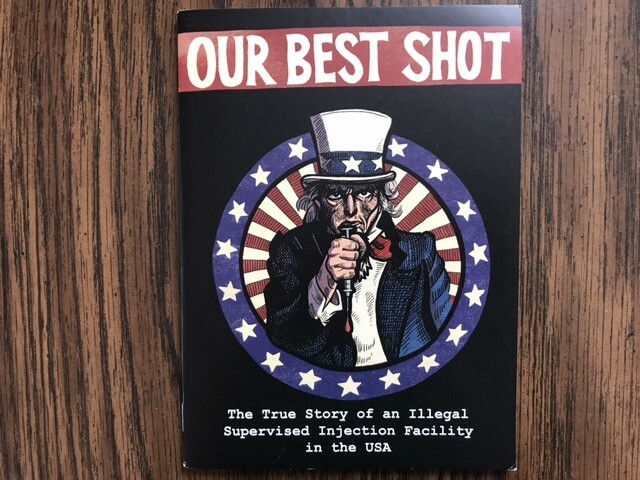 This anonymous zine tells the true story of an illegal supervised injection facility in the USA. The comic is packed with information about why projects like this are necessary. It also shares the author’s personal experiences working at a needle exchange and safe injection site. Although tackling a pretty depressing subject matter, the author manages to make it kind of funny at times, in part because of the illustrations. It feels like a pretty honest depiction of what goes on at such a facility; the author writes a bit about their personal struggles as well as some of, as they call them, less-reasonable participants. This zine is available through the publisher, Silver Sprocket. In Autumn Crossman-Serb’s comic, a boy leaves a party and shows up drunk to his crush’s parents’ home at 2 am to confess his affection for him. It’s a terribly cute and relatable story, with the drunk boy needing to convince the other that he does, in fact, like him. 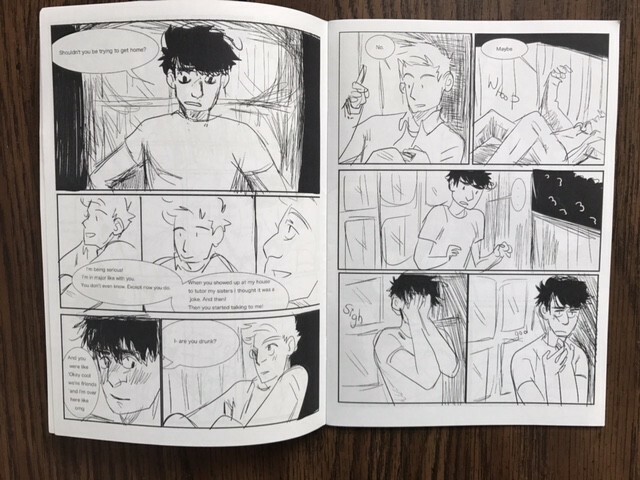 What really makes this zine is that the characters distinct personalities and current moods are perfectly captured through the dialogue. Their flirting and banter is hard to not smile at. And though the images are somewhat rough sketches, the characters body language and blushing is easy to read. Find more of Crossman-Serb’s work on her Tumblr. 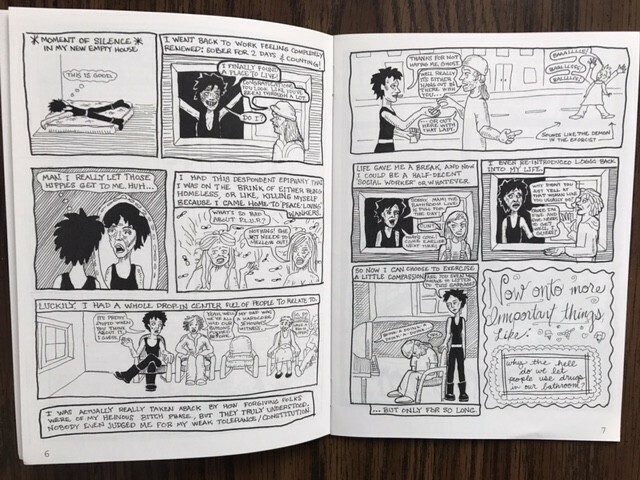 Comic zines are used for all sorts of genres; they even made an appearance in our Health and Healing zine round-up. They can tell personal stories or fiction. They can have a lot of dialogue or no text at all. 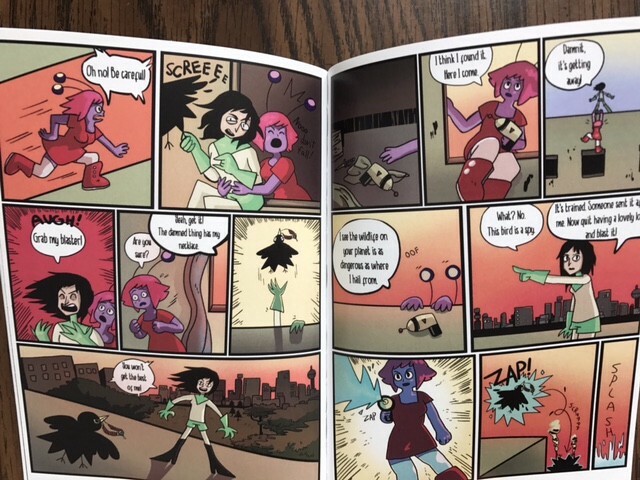 Creators use the format in a lot of super interesting ways and it’s fun to compare and contrast different zines. 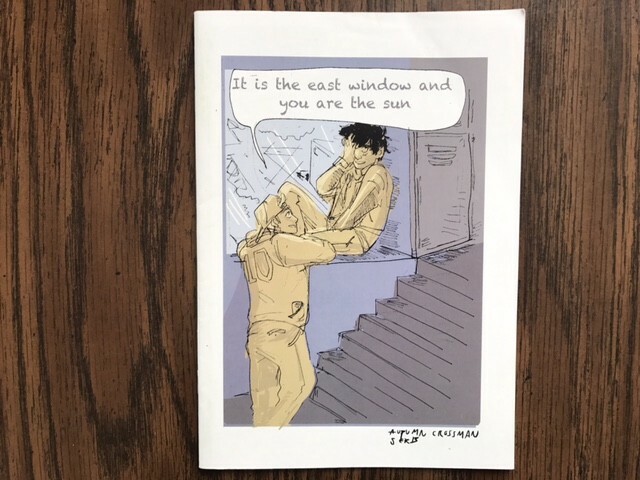 What’s your favorite comic zine? A freelance writer who has struggled with anxiety and depression her whole life, Meg helps other creatives learn how to take care of their mental health.